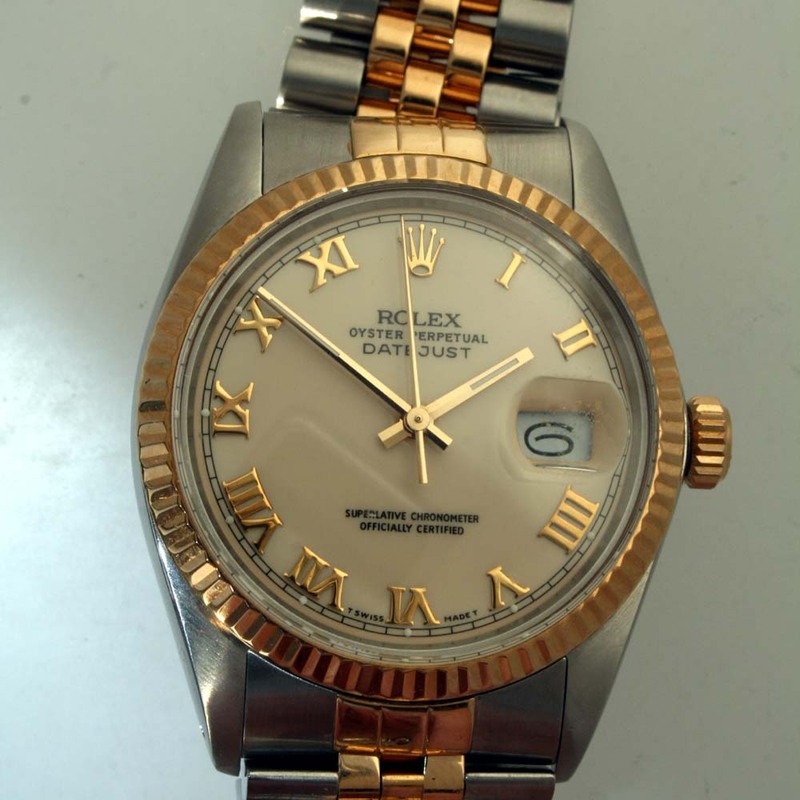 This is an original UK supplied Rolex Datejust watch, purchased in 1988 from Alexanders of Farnham. 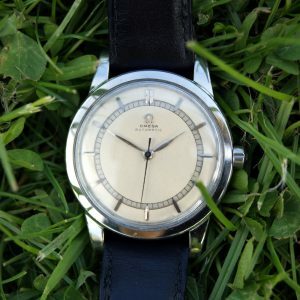 This is one of the best vintage Datejusts that we have ever owned. 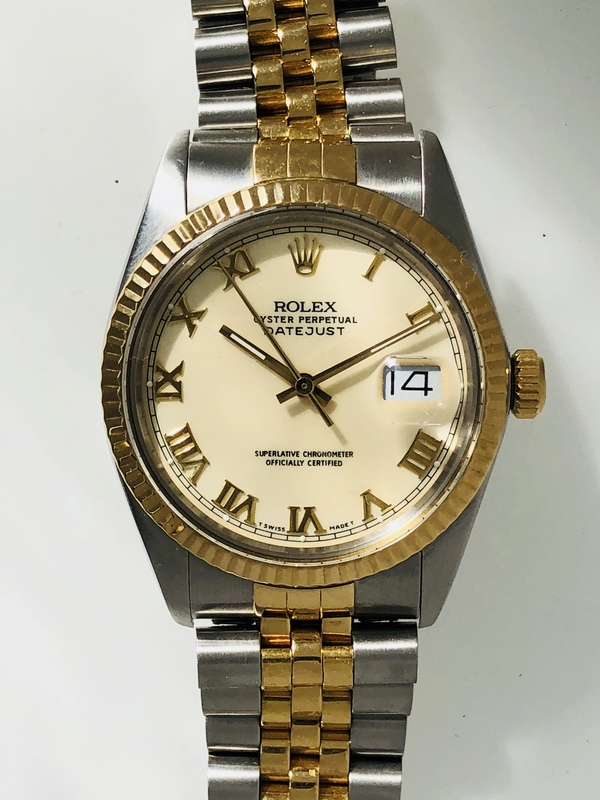 It is in absolutely mint condition in 18k gold and steel and fitted with its original Rolex Jubilee and original solid gold Gold fluted bezel. 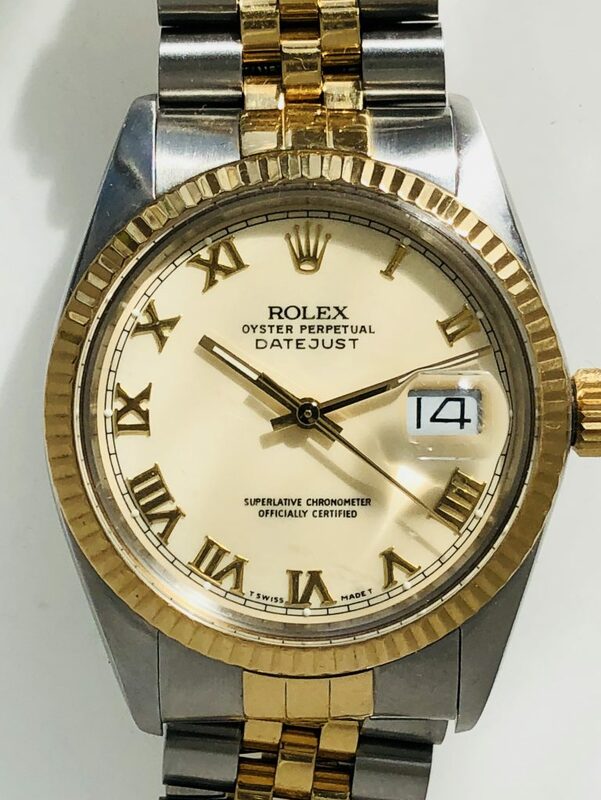 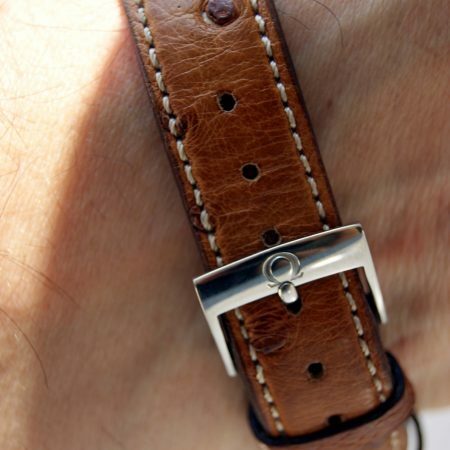 What makes this watch extra special is the rare and stunning Ivory dial with applied raised Roman numeral hour markers. 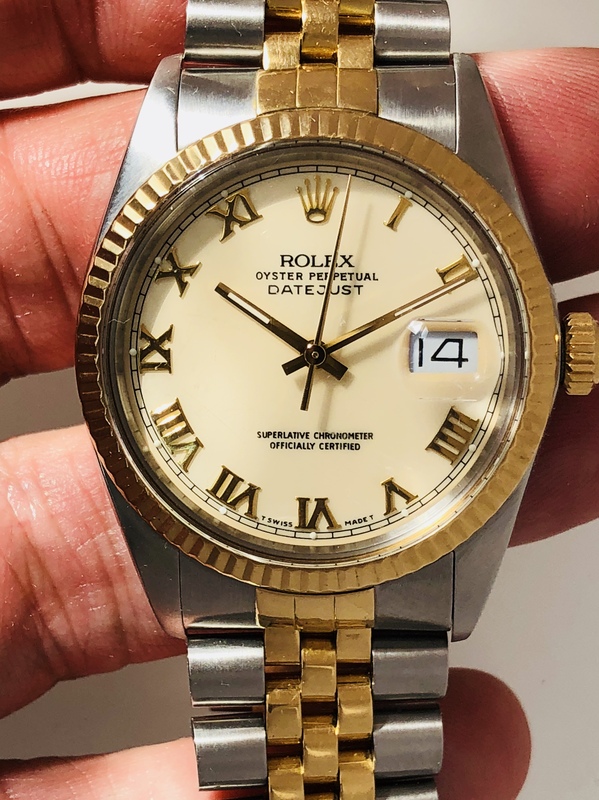 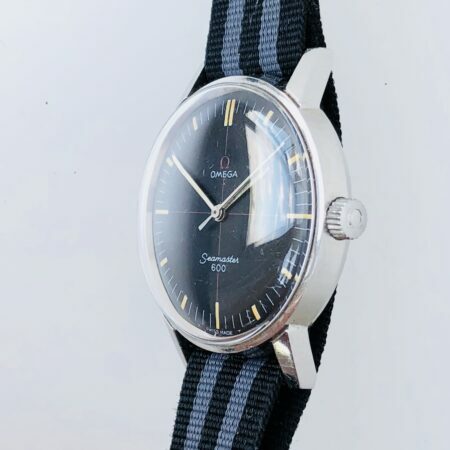 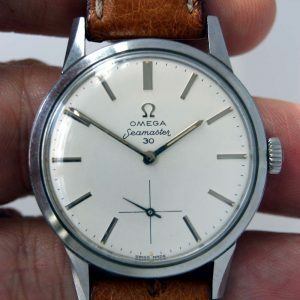 This would have been a special order from Rolex at the time of first sale as this dial did not come as standard. 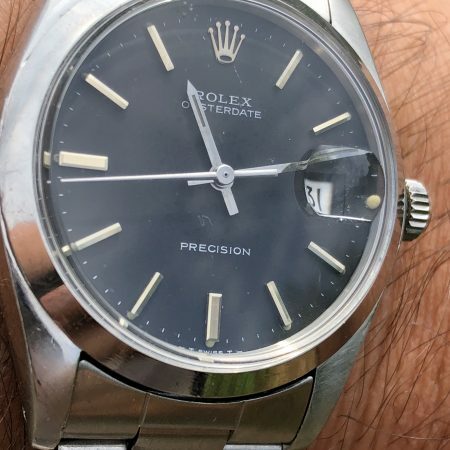 You can see why when you have the watch in your hand, the dial is just stunning. 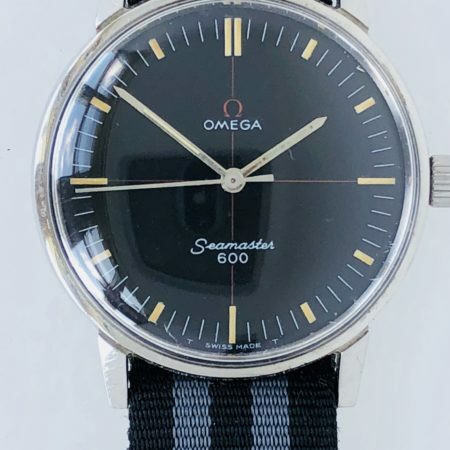 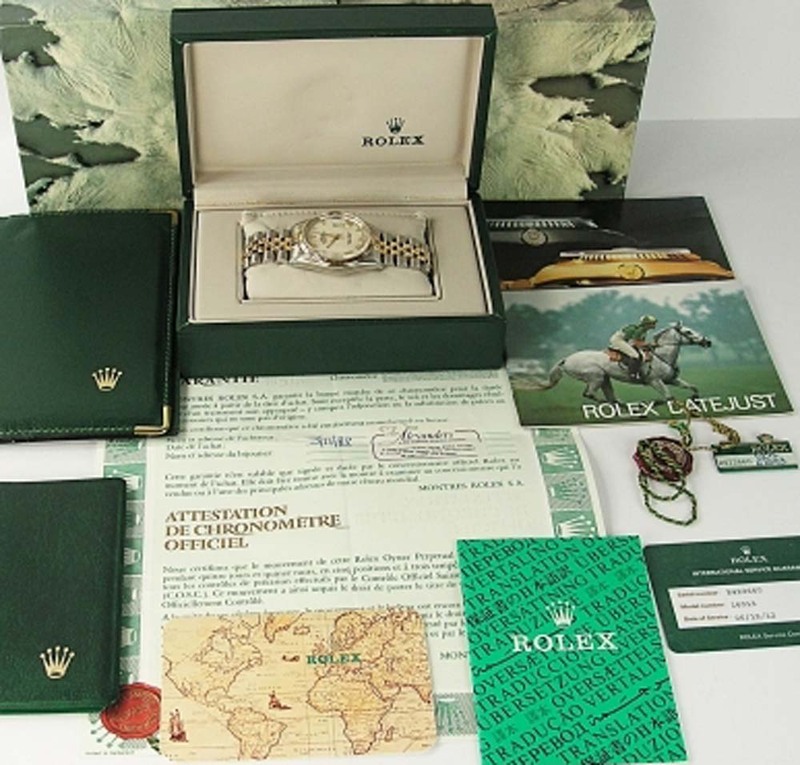 The watch also comes complete with its full set of all its original boxes, Rolex chronometer papers papers, wallet, booklets that have never been opened, and tags and original shop receipts. 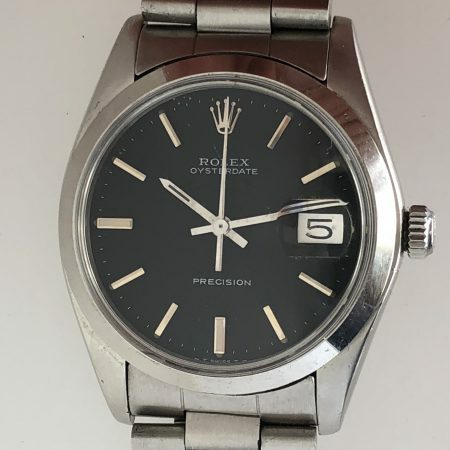 The watch has also been back to the official Rolex service Centre UK undergoing a full service and overhaul on 6/12/12 and has not been used since, so, is presented in as-new condition. 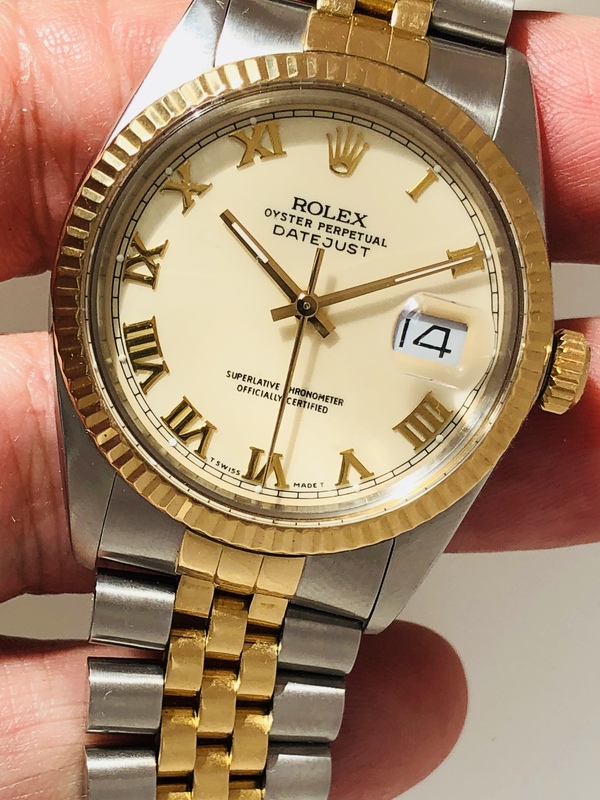 You will not find a better example verified genuine and original Datejust!